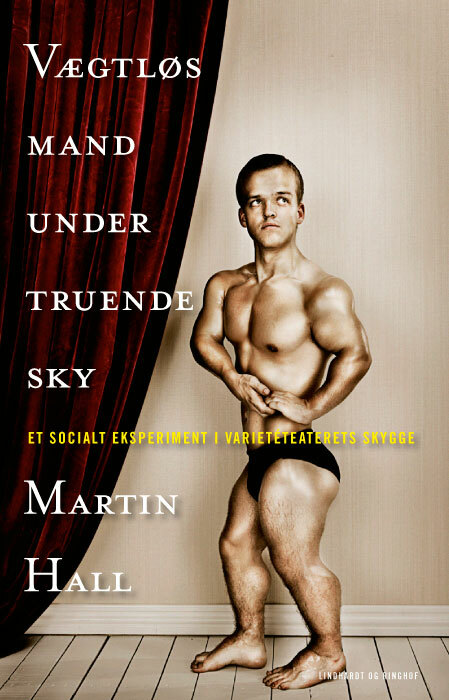 In relation to his new book Vægtløs Mand Under Truende Sky (‘Weightless Man Under Ominous Sky’) Martin Hall gives a spoken word performance at The Danish National Gallery on Saturday December 6 at 15.00. The event will also include a set of newly composed background music as well as a set of video works. For further information please see: The Danish National Gallery. On February 2, 2009, Panoptikon and Alarm releases three Martin Hall albums on the same day, the new Hospital Cafeterias as well as two MH- classics: Random Hold from 1996 and Apparently All The Same from 1984. The two last-mentioned will be remastered special editions with an abundance of bonus material. Claus Beck-Nielsen Memorial (a nameless writer, singer and director), Else Marie Pade (the grand old lady of Danish electronic music), Knud Odde (visual artist and musician in Sort Sol), Marquis Marcel de Sade (pianist and flaneur), Andrea Pellegrini (mezzo-soprano), Christian Skeel (musician and visual artist), Miss Fish (queer-performer and singer), Casper Clausen (singer and musician in the renowned Danish ensemble Efterklang), Herbert Zeichner (narrator), Mikkel Meyer (electronic musician), Sara Fiil (classical singer), Volkmar Zimmermann (classical guitarist), Katja Andersson (singer in Saccharin) and The Vista Dome Ensemble (orchestra). The new album contains songs, compositions and recitations – tracks written in collaboration with the other participants as well as tracks written by Hall alone. More news will follow as we approach the date of the release. On December 2 Danish publishing company Lindhardt og Ringhof releases Martin Hall’s new book Vægtløs Mand Under Truende Sky (‘Weightless Man Under Ominous Sky’). The title is a series of notes written by MH during his involvement as a judge in a Danish National Television contest that ran for three months during the fall of 2008. From the moment he agreed to participate his focus was this book, not the programme itself. The diary is a journal gathering his thoughts and experiences during the process. 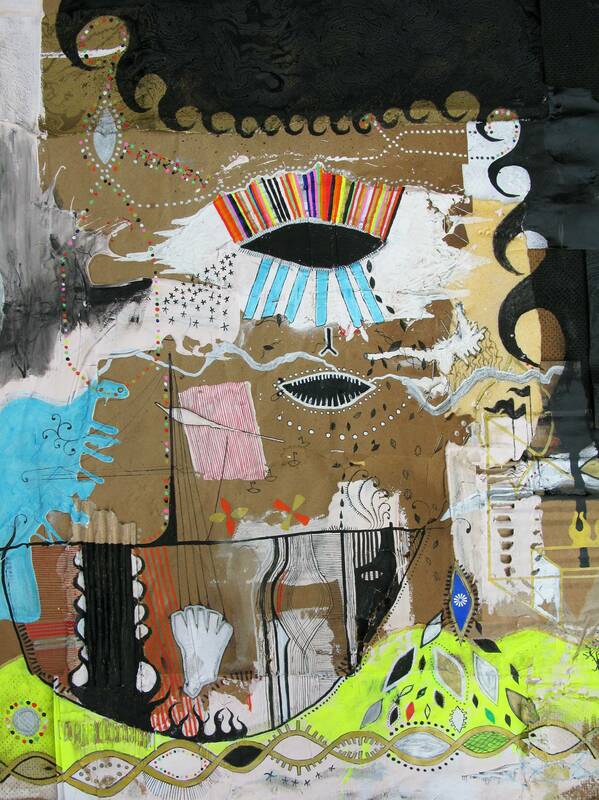 It reflects the author’s interest in the mainstream medias seen from an almost anthropological aspect. The release is subtitled ”A social experiment in the shadow of the music hall theatre” and the writing is a very subjective description of the project as a whole – an equally diplomatic and diplomanic picture of a media world as ruthless as it’s fascinating. The book is 274 pages long. The cover photo is taken by Territorium and the design is made by Kenneth Schultz. On December 8 Geiger Records releases Nicolaj Stochholm and Martin Hall’s musical setting of the former’s poetry suite Færden (“Movement”). The text is part of Stochholm’s latest and very well-received collection of poems Aldrig Mere (“Never Again”) which was released in May 2008. 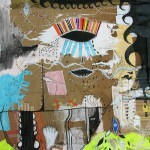 The suite consists of 25 pieces of poetry where personal longing meets ancient Greek mythology. Originally ’Færden’ was broadcasted by the Danish National Radio in April 2006. The programme was produced by Søren E. Jensen who has made several broadcasts evolving new literature and music. Since the original transmission the project has been re-worked and optimized in relation to its cd release. Assisted by Danish newcomers Marybell Katastrophy Martin Hall releases his new single on Monday the 8th of September. 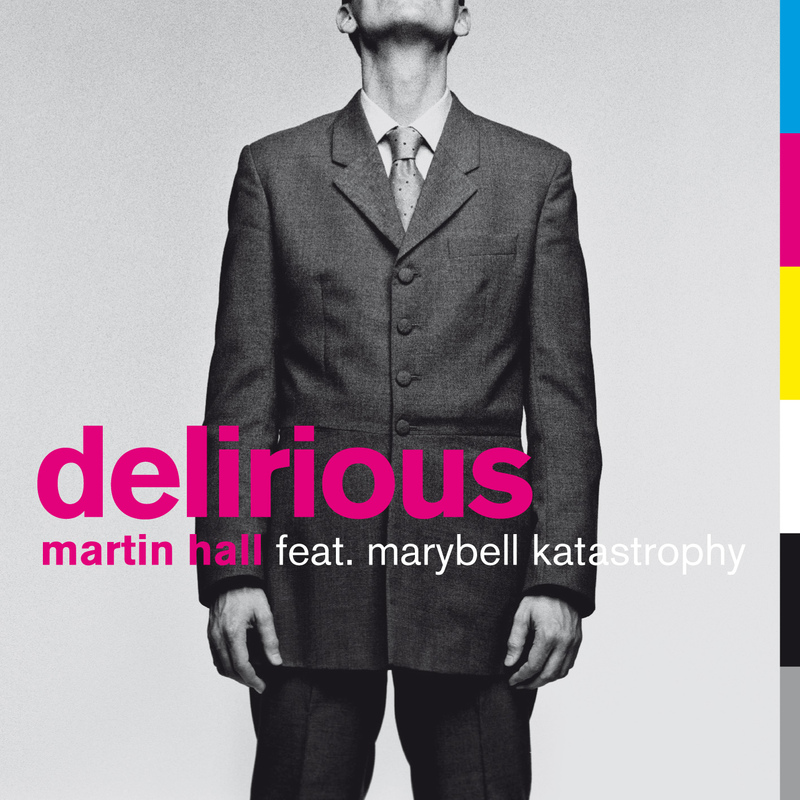 Entitled Delirious, the song is an up-tempo, electroclash-like track, clattering as well as catchy, in fact maybe the closest MH has been to a regular pop tune in a long while. Based on Hall’s newly recorded vocals and his original string arrangement for the track, Marybell Katastrophy has been given carte blanche as far as the production aspects of the song is concerned. The result? A fresh, crispy synth-track with hints to both the machine parks of the 80’s as well as the 21st century’s broken beat style. 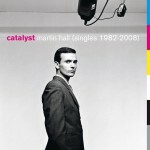 The track is the first of two new recordings on the forthcoming “best of” album Catalyst (Singles 1982–2008). 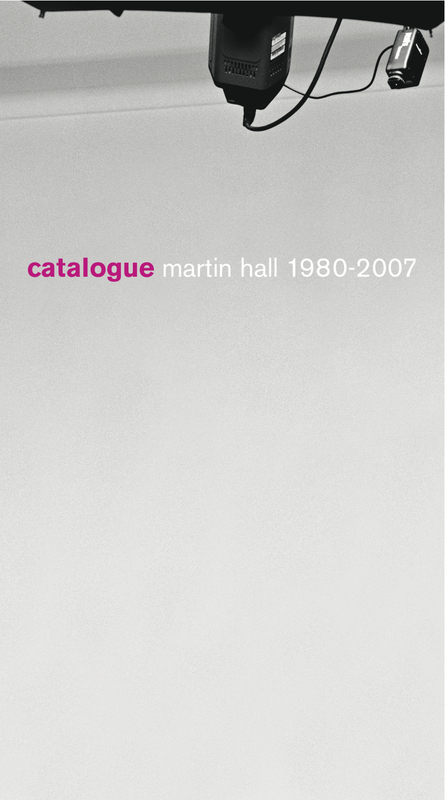 As a kind of concentrate of last year’s release, the voluminous 5-cd+dvd box Catalogue (Martin Hall 1980-2007), Panoptikon (Alarm/MBO) issues the single-cd album Catalyst (Singles 1982–2008) on September 22. As the subtitle suggests, the release is a collection of Hall singles stretching all the way back from the Ballet Mécanique days up until the new single with Marybell Katastrophy. The new collection does not include all singles made by MH throughout his career, far from. 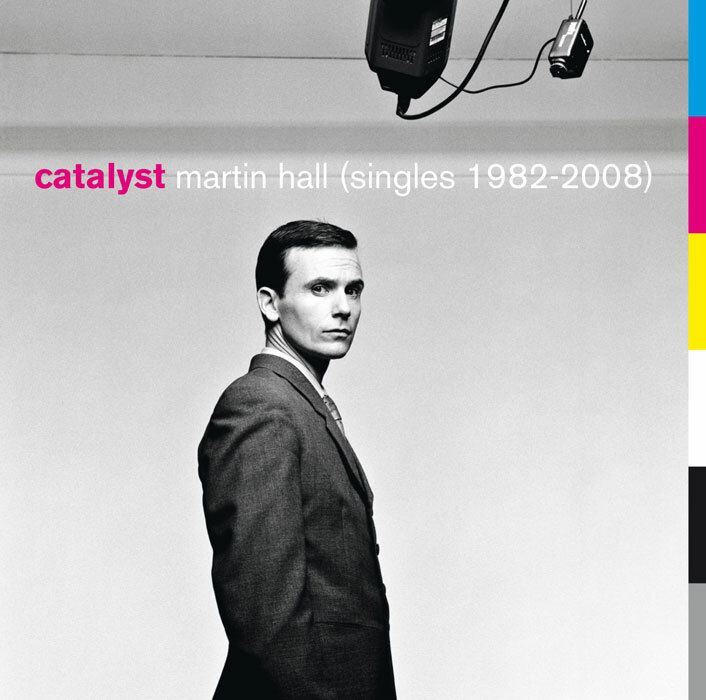 In the ‘Catalyst’ context the term “single” refers to formats such as 7” and 12” vinyl releases, cd-singles, promo copies, b-sides, downloads and remakes of single tracks, a definition providing the label with enough artistic latitude to enable new listeners to get a sense of some of Hall’s more project orientated works. All in all the cd contains 20 tracks as well as lyrics and liner notes to each individual title. Most of the songs on the compilation are featured in the form of single edits. Apart from the new download- single Delirious feat. Marybell Katastrophy, the other newly recorded track on the album is yet another neu und frisch-collaboration. A new version of ”Tout Le Monde”, the grand finale on the Catalogue box where Hall is accompanied by the great Marquis Marcel de Sade, has been recorded, this time around featuring the nameless singer from Danish act Claus Beck-Nielsen Memorial on harmony vocals. A brand new MySpace-profile regarding one of the strangest phenomenas on the Danish music scene ever, Irma Victoria, can now be found at Irma Victoria MySpace. The site offers a quick introduction to her career as well as it features six songs with her. You can also read about her on this site. Write her name in the “search”-function display at the top of this page and check out her discography. The text written in relation to the compilation album Memorial from 2001 offers a fine introduction to her work. To viewers who haven’t heard of Irma Victoria, let it be noted that producer Martin Hall played a significant role in the making of her “career”. Her peak as an artist came in 1991 when she shocked the Danish pop-industry by being nominated to a Grammy in the category “best female singer”. Irma Victoria died on November 10, 2000. She has been highly praised by artists such as Douglas P. from Death in June as well as The Tiger Lillies. On March 27, 2008, Martin Hall’s new book Infodemens will be released by major publishing company Lindhardt og Ringhof (Egmont). It is subtitled ”essays and notes – a season” and contains 35 pieces of writing as well as 33 new collages and drawings made by MH himself, all in all covering a sum total of 227 pages. As the title indicates, the release features a collection of writings – essays, notes and reviews – written throughout 2007. As a reporter and columnist for the Danish newspaper Jyllands-Posten as well as Dato Hall commented upon events such as the MTV Awards in Copenhagen and the capitol’s fashion week. During this period he also wrote extensive essays to The Royal Danish Theatre and leading Danish rock magazine Gaffa. 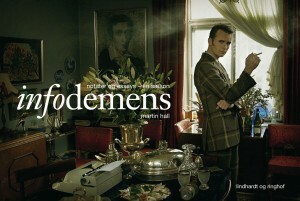 Infodemens also contains a lot of new and never before published material. As additional value to the selected articles MH has chosen to include a series of diary writings and journals such as two essays written during respectively the recording of a major motion picture in Prague as well as a stay in Buenos Aires. His reflections on participating in the film Flammen & Citronen (“The Flame and the Lemon”), the most expensive Danish-language production ever made, is not only a very amusing piece of writing, but also an article that renders great insight into the making of the film (if interested, you can read more about the motion picture further down this page). All in all, approximately half of the book consists of new material. The release of Infodemens also coincides with Hall’s 25th anniversary as an author, since he back in March 1983 published his first book Genopbyggelsen Er Stoerre End Selve Skabelsen. Likewise the contents of this release, ’Infodemens’ – as already pointed out – also includes a line of the authors graphical works and illustrations. On March 28, 2008, the motion picture Flammen & Citronen (“The Flame and the Lemon”) will finally see its long-awaited premiere. The film is the most expensive Danish-language production ever made and is directed by acclaimed Danish filmmaker Ole Christian Madsen. 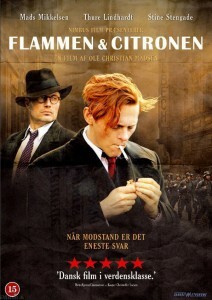 The motion picture revolves around the Danish resistance movement during World War II and tells the true story of two of its most significant characters, Flammen (“The Flame” a.k.a. Bent Faurschou Hviid) and Citronen (“The Lemon”, Jørgen Haagen Schmith) (in the film played by respectively Thure Lindhardt and Mads Mikkelsen, the latter internationally known from his role as the villain in the latest James Bond movie). As earlier stated on this website, it is also the film in which Martin Hall makes his motion picture debut. MH’s role is a short, almost cameo-like guest appearance, where he plays the part of Captain Østergaard Petersen, a depraved, nazi-friendly persona with a strong propensity to nightly excesses. 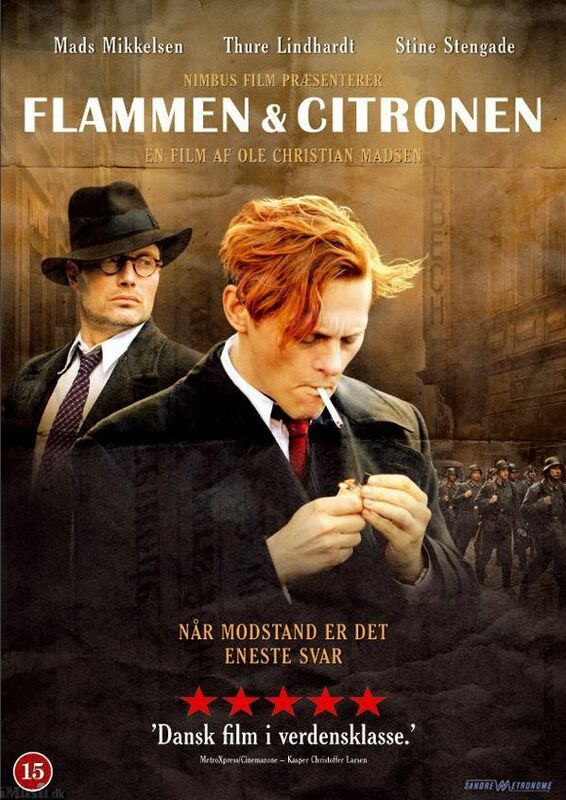 You can see the trailer and receive more information about the film at its website Flammen og Citronen. Martin Hall’s epic novel Den Sidste Romantiker (“The Last Romantic”) received massive attention by the Danish media and press corpse at the time of its original release in August, 2005. The book which comes in two volumes, covering more than 700 pages, sold out its first print within 10 days and – most importantly – secured Hall his literary breakthrough in his home country. On February 18 Paskutinis Romantikas will be released in Lithuania (a direct translation of the book’s original title). The publisher Tyto Alba has earlier published intellectual bestsellers such as “Ms. Smilla’s Sense of Snow” by Peter Hoeg, “Sophie’s World” by Jostein Gaarder, “French Testament” by Andrei Makine and “Foucault’s Pendulum” by Umberto Eco. If you’re speaking Lithuanian, feel free to read more via the title link. Martin Hall’s Catalogue-box consists of five audio-cd’s and one dvd – all in all 81 music tracks and 15 dvd-features – covering Martin Hall’s musical career from 1980 to 2007. Divided into five categories, the first disc is subtitled Airplay (singles and airplay tracks), the second Hallmark (signature songs), the third Soundtracks (instrumental works), the fourth Remakes (primarily new remixes made by other artists) and finally Encore (a selection of newly recorded works with chamber orchestra). For further information about contents, please click on the current cd-icon at the top of this page. For info about download options, check this: Catalogue news.